Guts Casino – Free Spins Galore! Get your extra Free Spins! 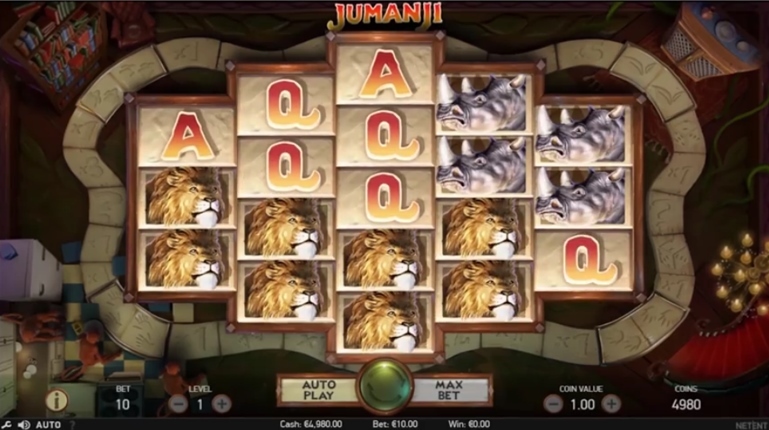 Enjoy Free Spins on Jumanji™! 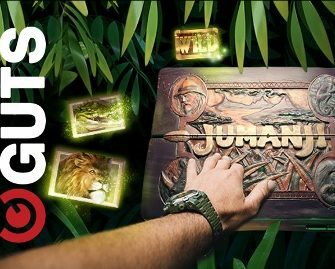 Swing from the rafters with Jumanji and get your hands on a jungle full of Free Spins on the latest Netent slot. Deposit today to receive 10 Free Spins and wager until 24th June 2018 to earn up to 50 Super Spins. And remember, all winnings from the extra spins are cash, no wagering requirement. 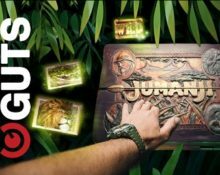 Guts Casino – 5th Birthday Bash: While you are wagering for your Jumanji Free Spins, make sure to keep an eye on collecting tickets to the massive prize draw on 16th July 2018 to celebrate Guts’ 5th anniversary. One very lucky player will win a huge €100,000 in cash. The new game, which has been released on 21st June 2018, follows the recent launch of the holiday blockbuster film “Jumanji: Welcome to the Jungle” but will be based on the original 1995 Jumanji™ movie. So roll your dice right and earn up to 110 Free Spins or 50 Super Spins on 25th June 2018, simply by wagering on any of the video slots Guts Casino. Launched in 2013 the casino is operated by MT SecureTrade Ltd. under MGA Malta, Curacao and UK licenses. A superb choice of games are on offer for desktop, mobile and tablet from providers such as Netent, Microgaming, Aristocrat, Bally, Barcrest, Betsoft, Big Time Gaming, Elk Studios, Fantasma Games, Genii, IGT, JustForTheWin, Leander Games, NoLimit City, NextGen Gaming, NYX Interactive, OMI, Play’n GO, Pragmatic Play, QuickSpin, Red Tiger Gaming, Scientific Games, Thunderkick, WMS and Yggdrasil. The LIVE Casino tables are powered by Evolution Gaming and Netent Live.